British horror comedy BACHELOR GAMES comes to VOD. In the annals of indie body count horror flicks, for whatever reason, it’s often the ladies that venture off into remote areas and get their bloody comeuppances from some class of unseen lunatic or lunatics. But in the satirical horror comedy BACHELOR GAMES, it’s the the lads that get lanced. The stag-gone-sinister flick hits VOD on July 8th from Gravitas Ventures and SHOCK has your first look with this exclusive clip. 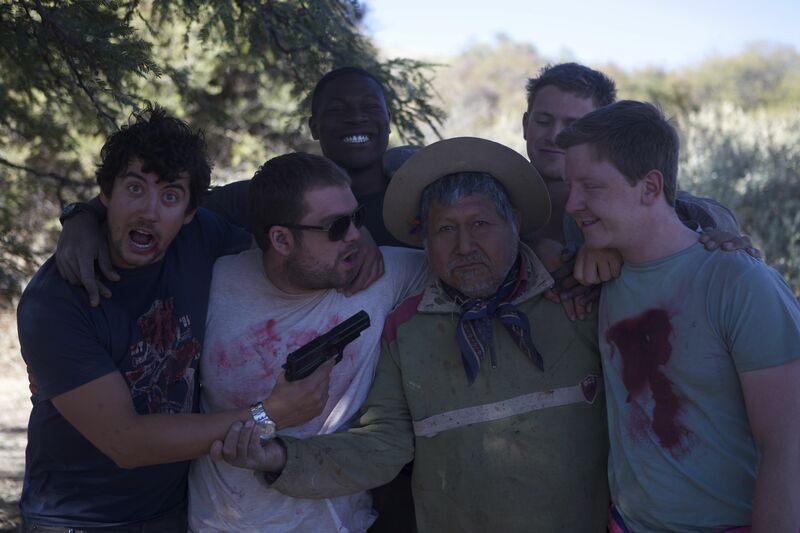 When five friends embark on a bachelor weekend in Argentina, everyone expects the usual hedonistic business. They do not expect to find themselves stranded, wounded, and hunted through the Andes. But thats just what happens when an elaborate scheme for revenge goes horribly awry. BACHELOR GAMES stars a bright young cast led by Charlie Bewley (THE VAMPIRE DIARIES), Jack Gordon (FISHTANK) and Jack Doolan (COCKNEYS VS ZOMBIES).